That was just one of the excellent and interesting lines I overheard last week at the Expion Social Business Summit in Raleigh, North Carolina. (Expion is an enterprise social media management software platform, and I was the opening keynote speaker at the event’s second day). The very frank – and very funny – statement about taxes was put forth on stage by Kevin Cobb, Jerry Green, and Matt Staub – who run the social media team at H&R Block. They delivered a fascinating breakdown of the brand’s social progress, which began in 2011 with a goal of taking back the offseason (most people only think about taxes during spring tax season). H&R Block wasn’t willing to let customers ignore taxes for most of the year, and used social media and content marketing to keep tax topics on the minds of customers and prospects. With a three-pronged strategy of “Educate; Engage; and Entertain” they set to work. The brand created many bite-sized educational content pieces that very much epitomize the “marketing sideways” trend I talk about in my book, Youtility. The goal was to make customers realize that many life events were actually tax events. 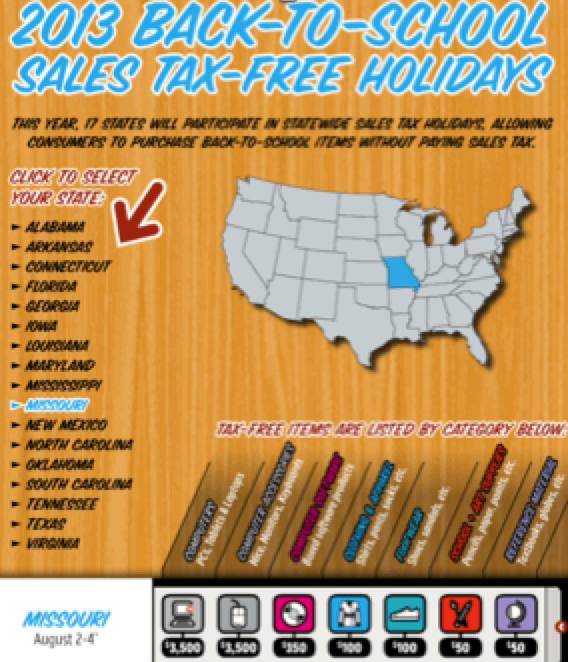 Thus, the content focused on infographics like back-to-school sales tax-free holidays, and preparing for winter checklists. H&R Block also fully decentralized their social chatter, empowering and enabling 100,000 tax professionals to share content. This was a terrific case study that included broad strategy tied to business outcomes, smart and measurable objectives, and several well-executed tactics. Another highlights of the event were Expion’s unveiling of their spiffy new user interface, which they hilariously (and honestly) described as: allowing our customers to marry James Bond, instead of being stuck with Bill Gates. (it was very “Radical Transparency” which is also a theme in Youtilty). Perhaps surprising for a brand-side social media conference, the big thread for the event was content marketing. One of the most intriguing presentations was by Jeff Melton, the Chief Distribution Officer of agency holding company MRY who talked about detailed and integrated planning for earned media. Like most companies, I don’t estimate earned media (impressions, shares, et al) in social, and via content. They just….happen. At MRY, Jeff and his team created extremely detailed models that use benchmark data to determine how much earned media in social each piece of paid, earned, or owned content SHOULD generate. Before they add something to Facebook, they have a “budget” for what they expect it will do. Very interesting, and extremely smart. In fact, all agencies in the MRY group are committed to this approach. So much so, that the big broadcast agencies like BBDO have earned media goals for every TV spot, etc. It was also fascinating to hear Jeff say that they never use the words “social media” at MRY, but always “earned media.” This is because “social media” carries specific connotations and baggage, whereas “earned media” (which of course is often located on social media) is viewed as more precise and applicable. It reminded me of speaker, author, consultant David Meerman Scott, who told me once that he never mentions “social media” in the C-Suite, due to misunderstandings of social’s purpose and role. Which of these 7 Lessons are most important for you?